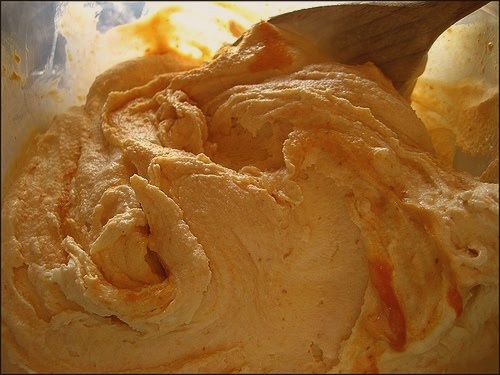 Pumkin Ice Cream Recipe. This easy ice cream tastes just like your favorite pumpkin pie! Try this at home with your kids and make them love you. In a large bowl, combine the whipping cream and the half and half. Gradually whisk in the brown sugar until blended. Whisk in the rest of the item until color is even. Refrigerate, covered, until very cold, at least 3 hours or as long as 3 days. If you do not have an ice cream maker, check out this video. Enjoy making this ice cream with your kids! Happy trying! dude the picture realy look yummy! i bookmark your blog recipe! will come back again for sure.